New Hampshire’s first independent sleep center. The Sleep Institute of New England provides excellent care while diagnosing and treating sleep disorders. Elizabeth A. Lynch, M.D. is triple board certified in Internal, Pulmonary and Sleep Medicine. 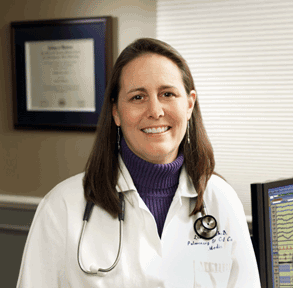 As a Complex Sleep Specialist, Dr. Lynch and her team diagnose sleep problems, prescribe treatment, and provide follow-up with you, your doctor and any other health professionals who may be involved in your treatment. Dr. Lynch opened the Sleep Institute of New England in 2010 with the mission of providing quality personalized care in a state-0f-the-art, comfortable setting for a fraction of the cost associated with hospital based sleep centers.